Thursday, September 7, 2017 — Joseph Szimhart, internationally-recognized cult expert, artist, and author of Mushroom Satori, will present a lecture on cults at Penn State Berks next Thursday. Look for him in the Perkins Student Center Auditorium beginning at 8 p.m. For details, visit the Penn State Berks website. Joseph Szimhart, author of Mushroom Satori, was last week’s guest on the Sensibly Speaking Podcast. He spoke with hosts Chris Shelton and Ruth McLeod about cults, history, and his own experiences. It’s a fascinating discussion that clocks in at just under an hour. Visit the podcast here or listen below. Joseph Szimhart, author of Mushroom Satori, will be speaking at the Wyomissing Public Library on Wednesday, August 12, 2015 at 6:30 pm. Please visit the library’s website for more information, and to register for this free event. Wyomissing Public Library 9 Reading Blvd Wyomissing PA, 19610 610-374-2385 Photograph courtesy of the Wyomissing Public Library. Joseph Szimhart is scheduled to appear at the International Cultic Studies Association Conference in Santa Fe, New Mexico on November 2–3, 2013. According to the ICSA, the event “will focus on the helping needs of former group members and families concerned about a loved one in a high-demand or cultic group or relationship.” Joe will be speaking and signing copies of his novel, Mushroom Satori. For more information, visit http://events.icsa.name/overview-santa-fe. 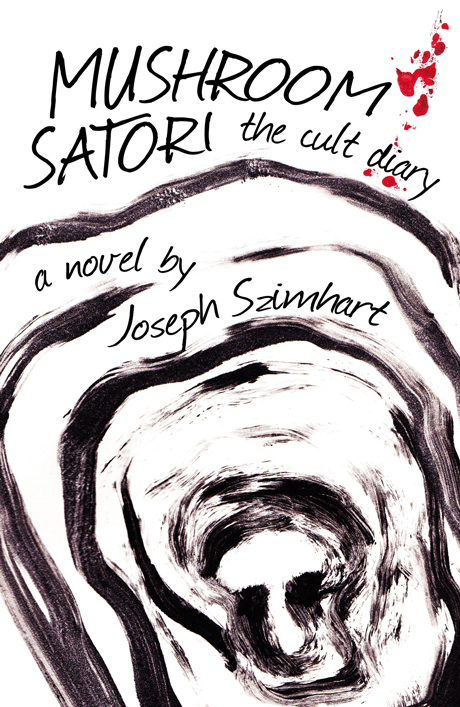 Check out Joseph Szimhart’s podcast at The Age of Transitions from July 25th: He discusses his book, Mushroom Satori, as well as various cult topics. Link.